Great Curb Appeal ! You Will Love The Layout! 1750 Sq.Ft, Cozy Living Room With Gas F/P, Separate Dining Room With Walkout To Balcony, Eat-In Kitchen With Breakfast Bar And Walk-Out To Deck.Spacious Light Filled Home, Freshly Painted. 3 Spacious Bedrooms, 2 Full Baths.Garage Access, Double Car Garage. Parking For 2 Cars. 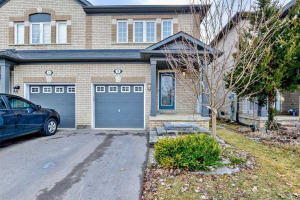 Quiet Cul-De-Sac, Close To Schools & Wellness Centre. All Window Coverings, All Elf's & Fans, S/S Appliances, Washer & Dryer, Gdo & Remote, Shingles 2017, Furnace 2011.